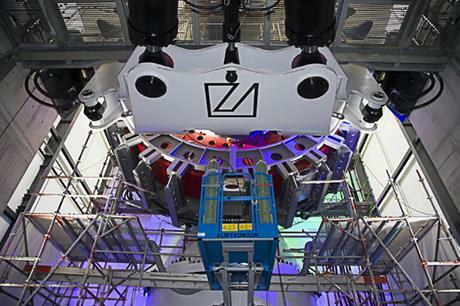 The one-year campaign, to begin in August 2019, will see the platform stretched to its limits at the Dynamic Nacelle Testing Laboratory (Dynalab). Currently GE offers the turbine in either 4.8MW or 5.3MW variants. "The Cypress architecture will be tested under different dynamic loading conditions. As a result of these and other tests, the new platform will be fully verified under realistic conditions," GE said. The US-based firm installed a 5.3MW prototype of the turbine at a test site in the Netherlands in March. It also received its first order from German developer Prowind, which was announced at the launch of the WindEurope conference and exhibition in Bilbao, Spain (2-4 April). "We chose to test our Cypress platform at IWES Fraunhofer so that we can accelerate the validation of the drivetrain integrated within the machine head in the most realistic way possible," said Peter Wells, CEO of onshore wind in Europe and sub-Saharan Africa for GE. GE also announced the launch of a new remote operation centre in Barcelona, Spain. The centre is GE’s fourth such facility to be launched around the world. It will monitor the condition of 2,000 turbines across southern Europe, GE said. "Our objective is to maximise the number of remote operations we can perform, in order to give our customers in South Europe a quicker response while minimising the need to physically visit the sites and the associated costs," said Robin Goodman, GE’s general manager for onshore wind digital services in Europe and sub-Saharan Africa.